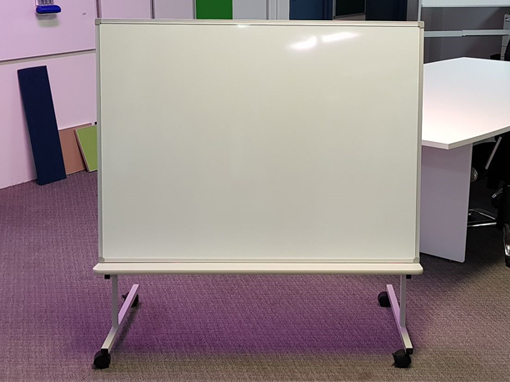 Our Mobile Whiteboards, feature the mobility and versatility to serve multiple purposes in your classroom, library or office. These stable and durable boards can rotate, pivot, or stand on their own so you can write and post important messages, lessons and ideas. We can manufacture any sized Mobile Whiteboards for your office or school. Shelf to hold books and teaching equipment. Height is adjustable, when lowered overall size is 1200 x 1250mm High.